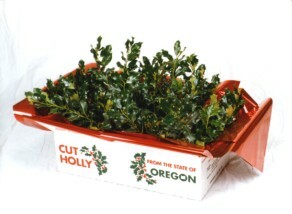 Send a distinctive gift box of fresh Silver Variegated Holly. Bonus pack of Oregon mistletoe included. Available in 3 and 5 pound boxes of all variegated holly.